Two SABIS® charter schools in the U.S. are regularly in the spotlight for their efforts in closing the achievement gap and raising the bar academically in the communities they serve. Click here to download a February 2011 achievement gap report. 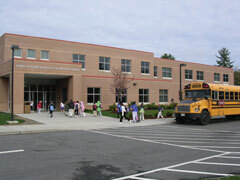 The SABIS® International Charter School (SICS) in Springfield, Massachusetts, opened its doors in 1995 and carried with it the reputation for being the second lowest performing school in the district at the time. Today, 16 successful years later, the SABIS® Educational System has helped the school—which serves 1,500+ students in K-12 and has a waiting list of more than 3,000 students—to become one of the highest performing in its community with ongoing academic achievements among its students, including a 100% college acceptance rate for the past 11 years. 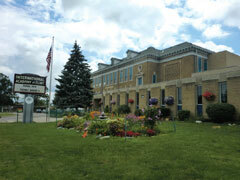 The International Academy of Flint (IAF) in Flint, Michigan, began operating in 1999. Situated in one of the most challenging communities in the U.S., the school has impressively offered parents an alternative to the under-performing public schools in the district and currently serves more than 1,100 K-12 students. Like its sister school SICS, IAF has a history of impressive college acceptances with 100% of graduates accepted to college for seven consecutive years. Both schools, located in mid-sized cities that have faced serious economic challenges in recent years, offer students a rich education that may not be otherwise accessible to them. As a result, students are taking full advantage of the academic offerings available and are achieving their full potential. Like all member schools in the global SABIS® School Network, SICS and IAF follow the dynamic SABIS® Educational System, which combines comprehensive curriculum with innovative educational technology. Through this system, these charter schools have the resources to provide students with the knowledge, experiences, and skills necessary to excel in college and beyond. Students enrolled at SICS and IAF follow a curriculum that has been carefully tailored to accommodate both their future plans for university and the rapidly changing, global society. This includes studying mathematics, English, and world languages—SABIS® core subjects—among other subjects. Furthermore, students are prepared to sit for and excel on external exams, such as Advanced Placement® exams, facilitating their admission to top universities. Serving a majority of minority students, both these schools demonstrate the value of the SABIS® Educational System in raising the bar academically and addressing the ethnic and economic achievement gap experienced across communities in the U.S. In fact, the academic performance among the schools’ students is often on par with their Caucasian counterparts, and in some cases higher, according to the results of 35 state exams administered to students in grades 3-11 at the schools. Combined, these two schools closed the African-American—Caucasian gap on 14 of the 35 exams or 40%. Also, together, these two schools had a narrower African-American—Caucasian gap in 19 of the 35 exams or 54%. Therefore, on 94% of the tests, SICS and IAF either closed the gap completely or were more successful than their two host states in closing the gap. Moreover, the state tests found that minority and low-income students attending SICS and IAF were outperforming their states’ Caucasian and economically-advantaged peers by the time they reach the 10th grade. Beyond success on state exams, students at SICS and IAF have demonstrated their academic competence in other ways. For instance, SICS’s 126-strong Class of 2011 not only all gained entry to college or university, but they were awarded a total of $9 million in scholarships. Additionally, 43 of the 63 students, or 68%, who sat for AP® exams in May 2011 at SICS received a score of three or higher on at least one exam, plus three students were recognized as AP® Scholars. IAF has seen similar academic success among its students, with its 2011 graduating class having earned more than $425,000 in scholarships, plus earning the Michigan Charter Schools of Excellence award, and the "Beating the Odds” award by the Michigan Association of Public School Academies. The schools’ success in providing students with a high-quality education and strong academic foundation has also been noted by popular American media. In fact, IAF has been among U.S. News & World Report’s “America’s Best High Schools” for three years in a row, while SICS has been recognized by both Newsweek and U.S. News & World Report as one of “America’s Best High Schools” on more than one occasion in recent years. Like other SABIS® member schools, the SABIS Student Life Organization® (SLO®) plays a large role in SICS and IAF’s day-to-day affairs. As such, students are encouraged to be empowered by the student-led society and play an active role in their education. Through SLO®, students have the unique opportunity to manage departments by becoming prefects, or they can participate in and contribute to clubs, events, and extracurricular activities. By fostering the exploration of a wide range of interests and promoting the development of students’ individual talents, SICS and IAF ensures that students acquire a broad range of skills and experiences so they can become effective and valuable team players, and strong candidates at top universities around the world. Through the schools’ SLO®, students are provided the resources and outlet to take up new interests and develop their individual talents. One of the many activities available to students is sports. SICS, whose sports teams are known as the Bulldogs, offers 14 varsity sports—including volleyball, softball, tennis, and basketball, among others—to its students in grades 9 to 12. Showcasing the school’s strong commitment to SLO® and its sports offerings, SICS’s athletic program was recently awarded a Republican Trophy by The Republican, a Springfield-based newspaper, for the school’s girls and boys sports program and placed 1st in the ‘small schools’ division among three counties. “It is rare for a school to earn an overall Republican Trophy title as well as be recognized for having the top girls and boys programs!” commented SICS Guidance Counselor and Athletic Director, Mr. Tom Campagna. “It is great to gain the recognition associated with this prestigious award. It is certainly a testament to our dedicated student athletes, the coaching staff, and the students’ parents,” Mr. Campagna added. In just over a decade and a half, SICS and IAF have been transformed into high-achieving schools that now serve as examples for other schools in the communities they reside. Given SICS and IAF’s positive impact in the communities they serve and the impressive progress in raising academic standards there, it is clear the schools will continue to make a difference in the lives of students, preparing them for success in college and beyond. To learn more about the SABIS® International Charter School and International Academy of Flint, please visit www.sics-sabis.net and www.iaf-sabis.net, respectively.